Huge price reduction!!!!! This is the best deal for a two bedrooms two and half bathrooms in Bal Harbour, point! !Unique beach front building in a prestigious community of Bal Harbour. Enjoy a superb view of the Bay from your oversized terrace!! The two huge terraces offer a great view from this impeccable two bedrooms two and a half bathrooms with over 2,000 sq.ft.and a bright and open floor plan. Full-service building with 24 hr security, valet and a full staff to ensure every need of the owners. Wi-Fi, cable, Fitness Center, Jacuzzi, Heated Pool, Beach and Pool Service, Putting Green and much more!!!! 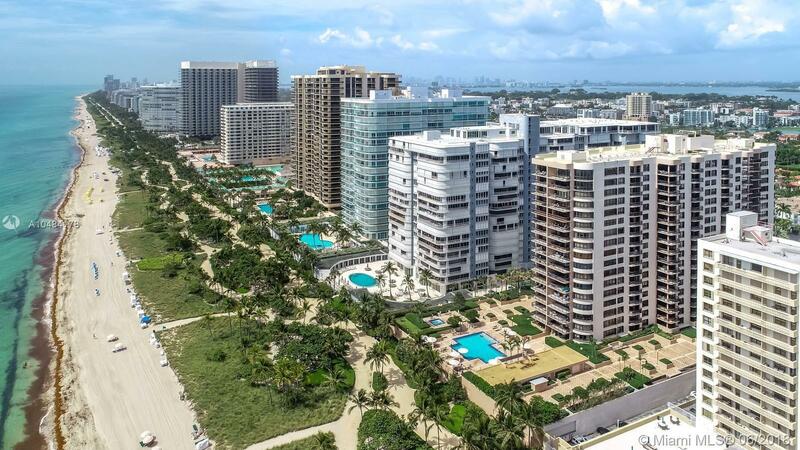 Best priced Bal Harbour unit! Across the street from Bal Harbour Shops, A rated schools & house of worship.